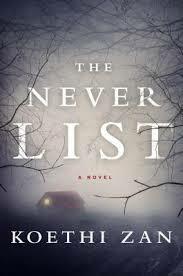 I'm excited to give away a copy of The Never List, which I reviewed yesterday, today! To enter you must have a US address, no PO box, and fill out the form below. I'll notify the winner via email.